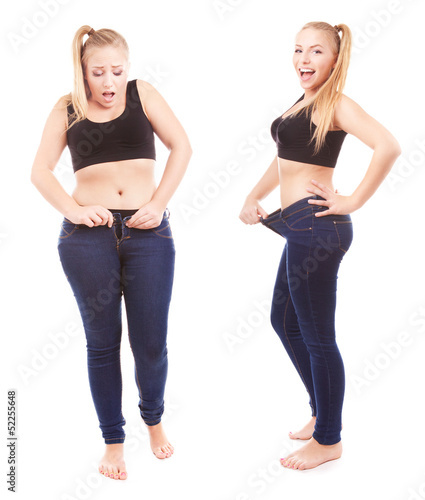 The overweight causes a number of health problems like Hypothyroidism.A number of people are suffering from this problem and follow various way to loss weight non formally like subscription of 2-3 gyms,diet plans and never get any luck in cutting it off,thereby wasted money.Nothing can divert you from your weight loss journey if you have a clear goal.On reaching a weight loss plateau,it is quite possible ti lose focus. Here are the ways that you can loss weight at about 34 kgs in 4 months. 1. Join A Gym :- If you determined to lose weight then join a gym and get started to gain information on nutrition how the metabolism works and to customize your workout plan.Start your journey with your own fitness coach,and soon the result started showing up. 1 [i] :- The Workout :- Start workout in the morning generally and for six days in a week like training each muscle twice a week.The workout regime involves strength training followed by 15-20 minutes of High Interval Intensity Training [HIIT].To build muscles and burn fat fast,focus your workout on compound movements.The fundamental lifts such as presses,pulls,squats and deadlifts are the best exercises to build muscle and burn fat as these compound exercises involve multiple joints and muscle groups. Breakfast :- 5-6 eggs in any form,boiled,omelette or oats idli,a cup of black coffee,boiled sprouts/beans and a handful of dry-fruits. Lunch ;- A large bowl of dal,a bowl of green veggies and 2 chapatis. Dinner ;- Paneer bhurji,a bowl of salad and veggies. Commitment is the most important thing for your transformation.It can turn your life around.It is very important to increase your knowledge on nutrition and how your body responds to it,because it plays a major role in your transformation journey.Always stick to a workout program for at least 6 weeks.It will take time but your body will start showing changes. Fitness is the only thing that keeps you motivated.When your body starts showing results,that's the only thing which will keep you moving.Always keep reading a lot of articles and blogs on fitness and keep exploring new things to keep yourself motivated. Lastly,but not least Remember,if you do sign up for this journey,always hold on to these two words :Patience and Commitment.There will be times when you will feel like giving up but as said,all good things take time to show up.Trust yourself and be committed to your plan.When you will reach towards the end of your journey,it will be a whole new feeling.Remove processed foods,simple carbohydrates,deep fried,carbonated drinks and sugars from life,even office parties and birthdays,used to avoid snack and cakes.